This game is played with 2 teams of 2 players each, going to head to head to eat 12 Ritz crackers off of a plexiglass board. The first team to eat all of their crackers off of their side of the board first wins! 1. Ritz Crackers and Cheez Whiz. 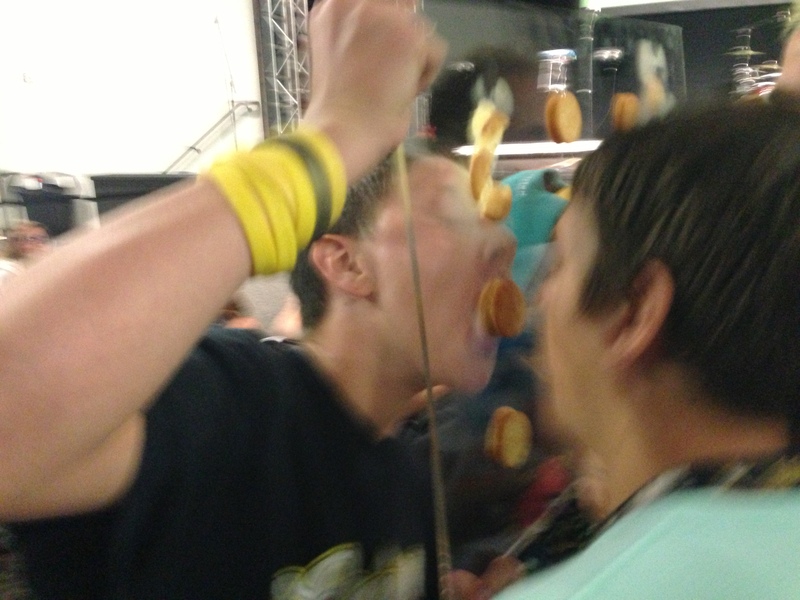 Depending on how many rounds you want to play, 1 or 2 boxes of Ritz crackers should do. Also, you’re going to need a can or two of Cheez Whiz. 2. Plexiglass Boards. You can pick these up at Home Depot or Lowes for around $20. We used 24″ x 18″ sheets. We bought a few sheets so we can prep them each ahead of time and not have to worry about cleaning them between each round. 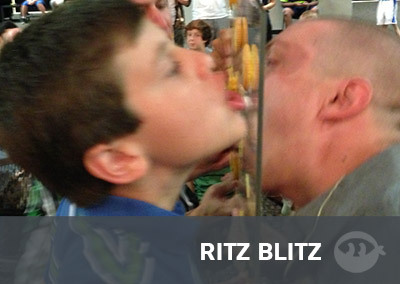 Each side of the plexiglass board needs 12 Ritz crackers attached via Cheez Whiz. We arranged the crackers in a 3×4 grid on each side. Also, we recommend using multiple plexiglass boards and prepping them all ahead of time. It also might not be a bad idea to put plastic on the floor, a lot of cheez whiz and crackers are going to be falling to the ground. The game starts with 2 teammates standing next to each other, facing the opposite team. The only thing that separates them is a thin plexiglass board with 12 Ritz crackers stuck to it via Cheez Whiz on each side. When play begins, each team (without using their hands) tries to eat their 12 crackers off of their side of the board. The first team to successfully eat of their crackers wins! grateful for all you offer. 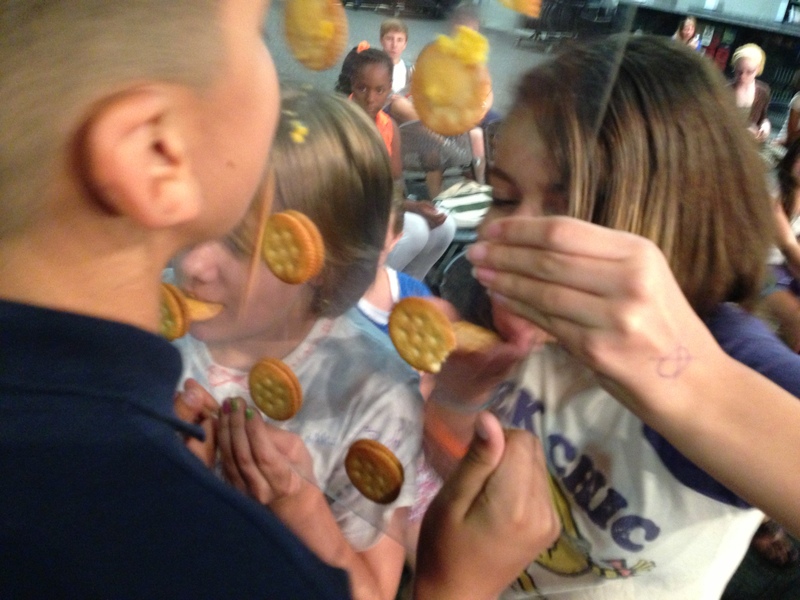 had a chance to play with some cheese and crackers at our fall launch. t’was a marvelous sight. thx! Playing the game this Sunday! I taped the edges of the plexi with gaff tape because it made it easier to grip and the plexi we got was a little rough around the edges (literally). I also made this slide that I thought I would share. Thanks for the idea and also the slide, Josh. 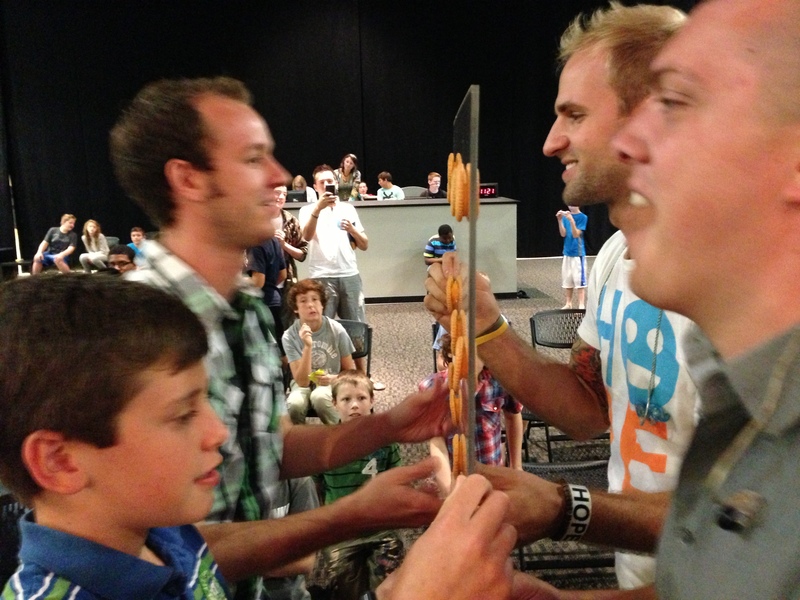 We’re trying this on Sunday – should be great for hyping up all our 5th to 8th graders.